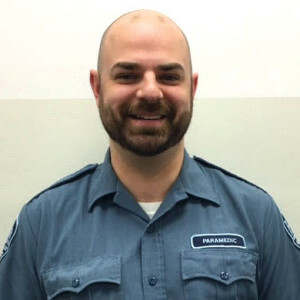 Scott Bernhardt has worked for Huron Valley Ambulance Service for 8 years. Whether delivering babies or saving the lives of loved ones, Scott feels honored serving his community through his work. In January 2015 Scott and his partner were the first to respond to a call with multiple pediatric patients, which unfortunately included one fatality and several children in critical condition. Scott was able to quickly assess and triage at the scene and relay to dispatch the resources needed to assure optimal patient outcomes. Calm, professional, and caring, Scott was able to provide excellent clinical care in an emotionally challenging environment. Scott is loyal, honest, and committed to his company. He rarely misses a day of work and fills in when necessary for his fellow medics. In his time off, Scott enjoys vacationing with his family. Huron Valley Ambulance Service is proud to honor Scott as a 2016 Star of Life.